35” long from wheel to wheel. Adjustable seat from as low as 11” to as tall as 16”. 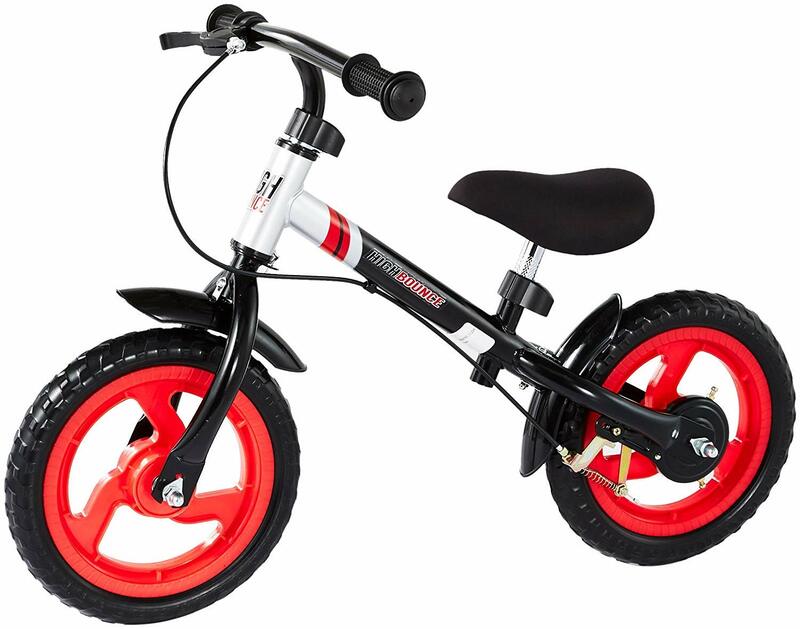 The High Bounce Balance Bike is super light yet strong & durable as well. 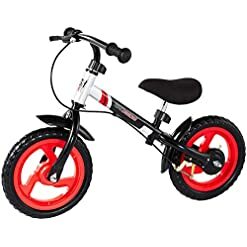 With this Metal balancing bike its simple & easy for any kid to learn how to ride a bike without training wheels. That’s the beauty of metal balancing bikes, it’s made exceptionally for kids to hold their balance & ride like a pro. 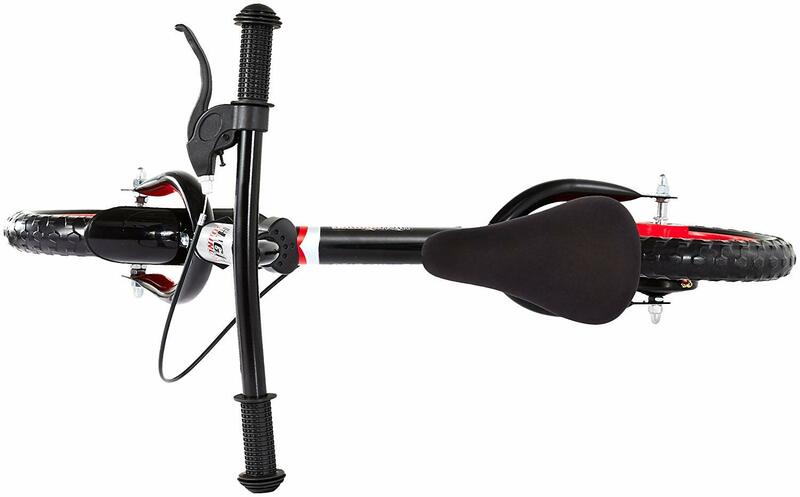 This is a sportive, durable & comfortable real bike. Heavy duty rubber hand grips & sturdy solid rubber tires too. 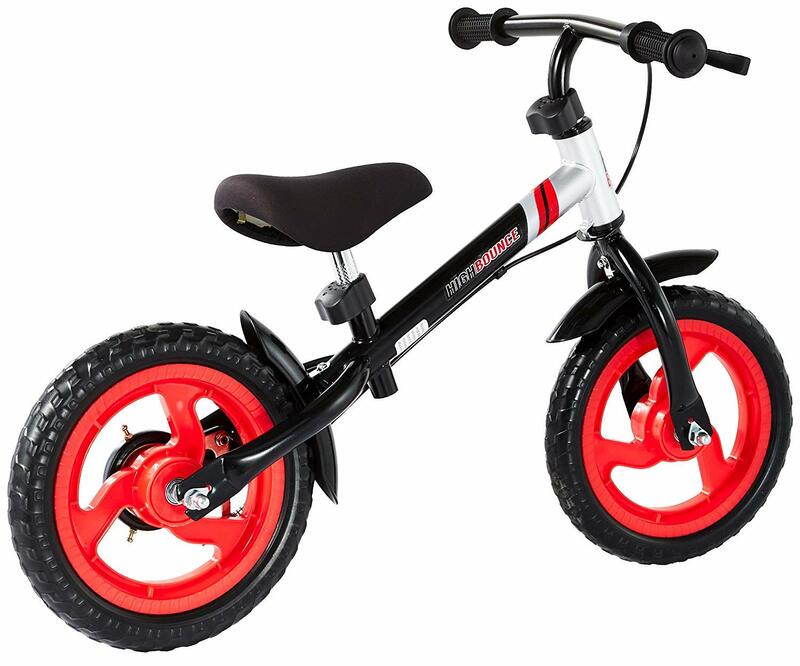 The high Bounce Balance Bike also has a launchpad footrest for an easy & smooth ride. It also include STAR & EVA Airless tires, for a safer ride. Adjustable seat from as low as 11” to as high as 16”. 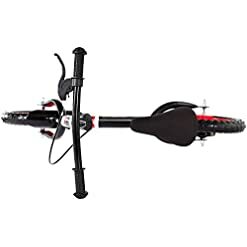 Recommended for ages 2 & up & accommodates up to about 70 LBS. ALWAYS ride a bike with a helmet & protective gear. 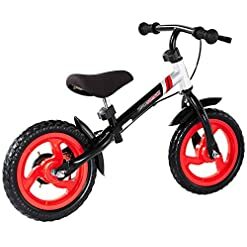 GREAT gift idea to any little one that wants to start riding their bike without training wheels or for a training wheel graduate! EVA airless tires for a safer ride for younger kids.